How much blackjack skill must one acquire in order to be banned from playing it? Ben Affleck found the answer at the Las Vegas Hard Rock Casino. Members of the security team at the Hard Rock Casino in Las Vegas decided that Ben Affleck, the A-list actor slated to play the next Batman, was playing far too well to just be an average player on this getaway before starting filming for Batman vs. Superman in Detroit. The star has accumulated hundreds of thousands of dollars in winnings at blackjack tables during his downtime from filming movies, even stating his love of the game openly while promoting Runner Runner back in 2013. "I like to go to casinos and play blackjack and poker although I don't have enough recreational time these days," he said. This time, though, he has been accused of card counting, according to sources who provided information to news outlets anonymously, during a winning streak that saw him being asked to leave the table as a result. While this act is not considered illegal, since it's just an extension of the player's skill set, being able to remember what has been played and building a forward thinking strategy from there, it can result in this type of response from casinos. Colin Jones from BlackjackApprenticeship.com confirmed this by saying, "Card counting is perfectly legal. You're just using your brain. But the casinos don't like it because they know if you play long enough, you'll take their money." The accusation of counting cards did not come directly from the casino as they have policies in place that prevent commenting on the play of their gambling guests. The Las Vegas Hard Rock Casino did not ban Ben Affleck from playing the rest of the games available; they just put a ban in place for the one specific game. Since he no longer had welcome to try his hand at one of his favourite games, Affleck retired to his hotel room for the night with his wife, Jennifer Garner, opting not to take part in further gaming. "Mr. Affleck, a valued guest of Hard Rock Hotel and Casino, is not banned from our property and is welcome back any time," part of the statement released by the venue reads. 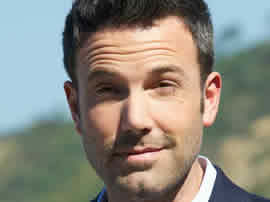 In the time since this event, Affleck has been contacted by several members of the press and has reportedly laughed it off, staying positive in light of being removed from his game of choice. At the very least, the star should take this as a compliment to his skill at the game of blackjack.